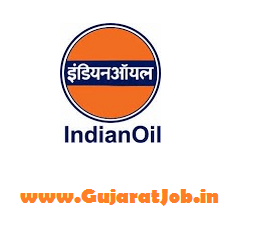 Indian Oil Corporation Limited (IOCL) invites Online applications from eligible Indian Nationals for engagement of Apprentices under Apprentices Act,1961 in Southern, Western, Eastern Region in Marketing Division and PL Division. The last date for submission of online applications is 13th February 2017. Posts Name: Various Read below as per state. Age Limit: 18 to 24 Years for all above posts. Age Relaxation, 03 Years for OBC and 05 Years for SC / ST. Technician Apprentice -> 03 Years full time regular/ sandwich diploma in in relevant disciplines with minimum 50% marks in aggregate for General & OBC candidates and 45% marks in aggregate in case of SC/ST/PWD candidates against reserved positions. Trade Apprentice -> 03 Years full time B.Sc (Physics, Maths,Chemistry/ Industrial Chemistry). How to Apply: Eligible Interested Candidates are required to Apply Online through IOCL Website (Separate Region wise). The Online registration open from 01/02/2017. The last date of submission of online application is 13/02/2017.